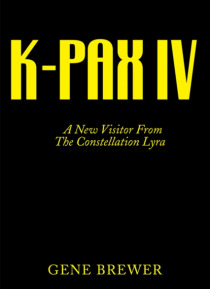 A New visitor arrives from K-PAX. Fled is outspoken, belligerent, very promiscuous, and resembles more than anything else a large chimpanzee. When she returns she will be taking 100,000 people with her. Dr. B agrees to host the visitor at the Manhattan Psychiatric Institute hoping she will be able to do something for the hospitals difficult mental patients. Fled soon becomes pregnant, and the fath… er could be anyone-a chimpanzee, a gorilla, or a human, possibly even one of the patient. As the departure date draws near, the reader will find himself gripped by the questions of who will be going wither and will the CIA be able to prevent her from kidnapping any American citizens.